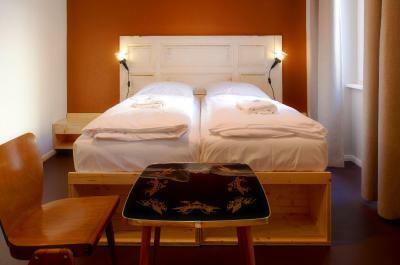 Lock in a great price for The Cat's Pajamas Hostel – rated 8.9 by recent guests! There were such a friendly staff! 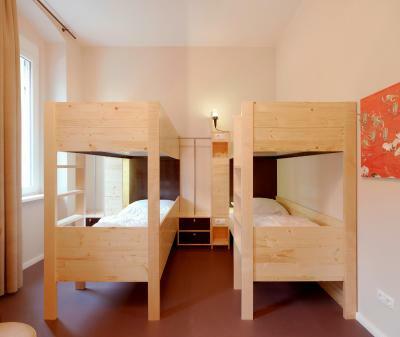 All the beds are with the little lamps so you don't have to wake up your roommates if you are coming late. Bathroom is clean and big enough. 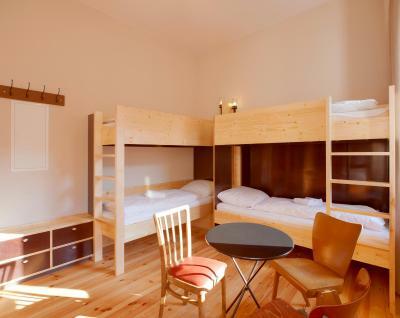 The hostel is situated in a quest and beautiful place. Everything about The Cat's Pajamas was awesome. 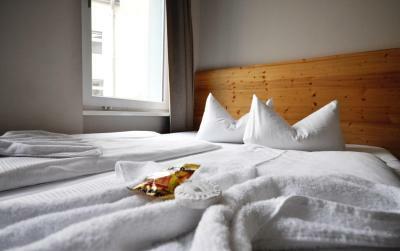 The beds were comfortable, the rooms were spacious, the bathroom and toilet area were always clean, and the kitchen was gorgeous. I loved that towels and linens were included in the price and that breakfast was available if you wanted it. There's free boiled water for an endless supply of tea, too. The wifi connection was great, too. I found the location to be very convenient, because I could walk to multiple places, and you have the shopping center right across the way, which is great for buying groceries and stuff. The subway is also really close, so you can get anywhere you need to go fast. 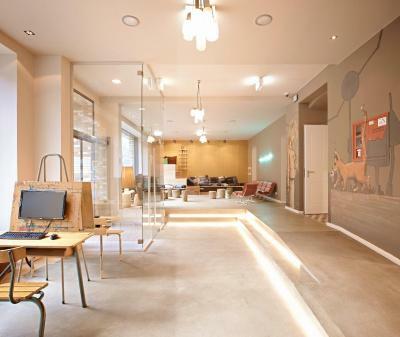 Overall, an awesome hostel that I highly recommend. 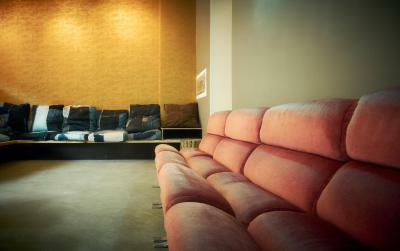 -Smart & stylish design, well-appointed. 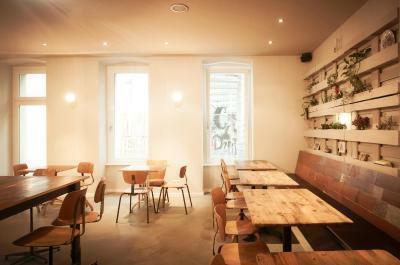 -Ample public spaces, large kitchen/dining. -Staff team rather accommodating. clean room, clean bathroom, elevator to upper floor and everything! The staff is nice and helpful. 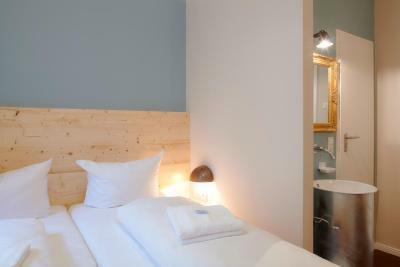 The room is spacious enough for 6 people, the shower is great. All in all, I'm happy with the stay. 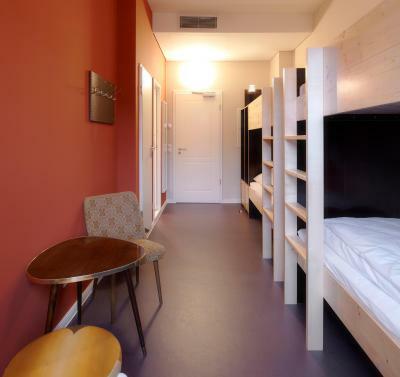 The hostel was really tidy and clean, which made it feel like staying in a hotel, expect that you slept with random people in the same room. 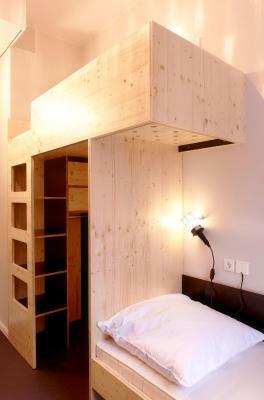 Stayed in a dorm with two bunk beds, which was positioned apart using the extra space as a closet and luggage space. It was very good that I didn't need to worry about waking up my colleague by my movement at night. Shared bathroom was very clean and well kept. It was an excellent experience! Almost everything was great. 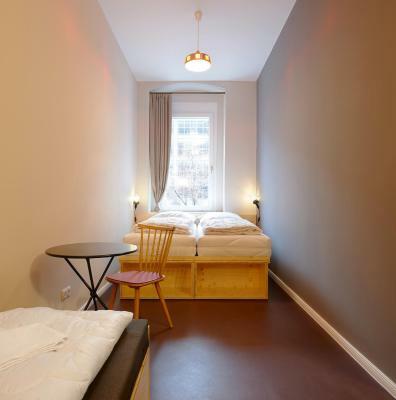 Location's really close to a subway station, the beds were really comfortable, and they got a guitar for anyone to play. Plus, the people working there were really cool. The kitchen was great for cooking and the lounge could be great for meeting people. 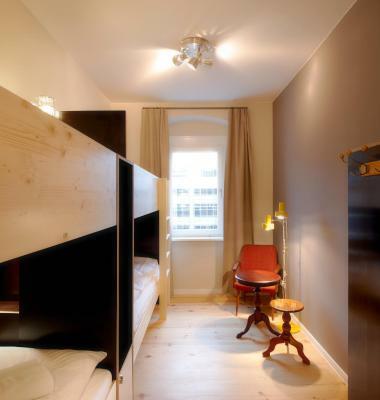 The hostel is right around the corner from the metro. One of our best sellers in Berlin! 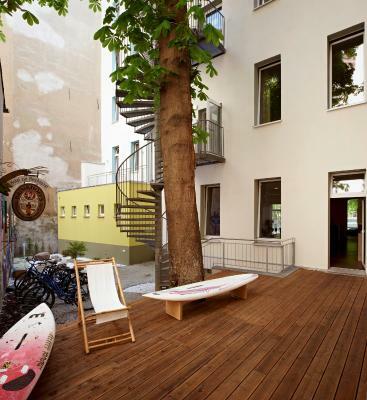 The Cat's Pajamas Hostel is in Kreuzkölln, Berlin's coolest neighbourhood. Wi-Fi access is available throughout the entire hostel. 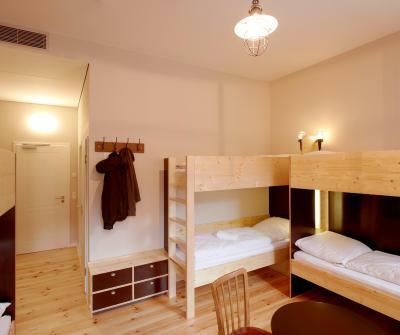 The rooms and dorms all feature modern wood furnishings, and most have their own bathrooms. 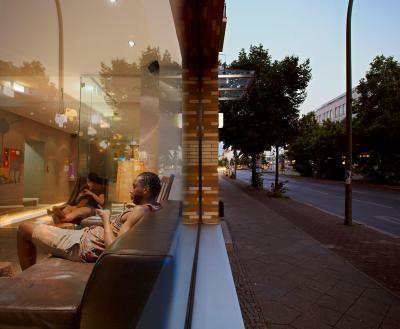 The surrounding areas of Kreuzberg and Neukölln provide some of Berlin's best dining and drinking opportunities. 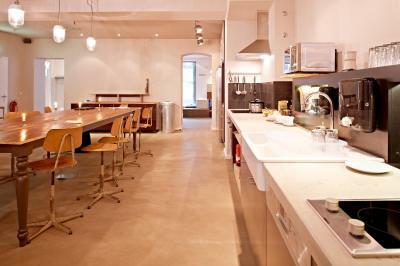 Guests can also prepare homemade meals in the shared kitchen. 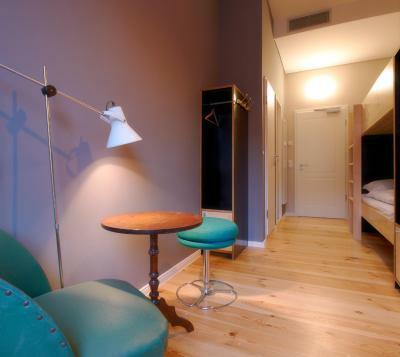 At The Cat's Pajamas Hostel there is a 24-hour front desk, a terrace and a shared kitchen. Other facilities include a lounge and luggage storage. 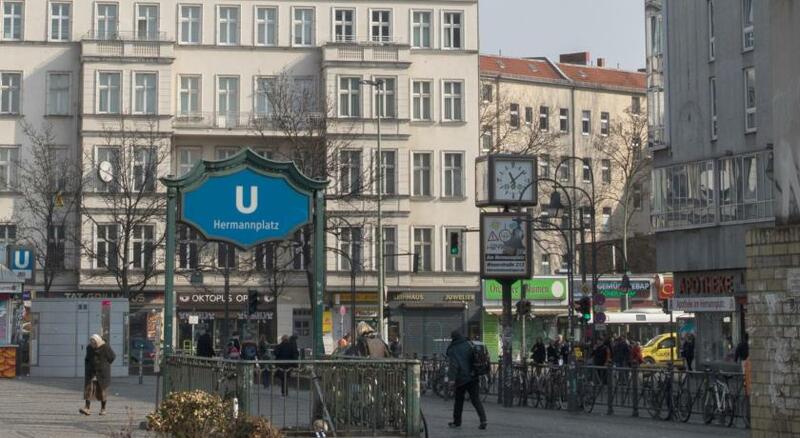 Directly across from Hermannplatz Square, guests can get to all the city's main attractions easily. 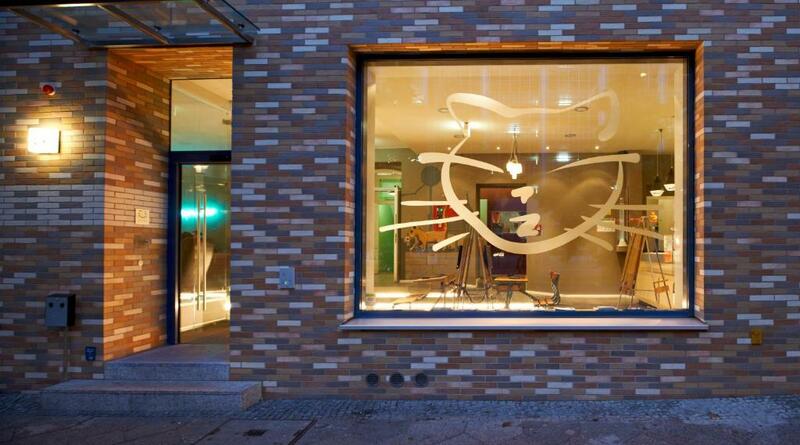 The Cat's Pajamas is a convenient 50-minute ride on public transportation from both of Berlin's airports. All dorms have a locker. When would you like to stay at The Cat's Pajamas Hostel? 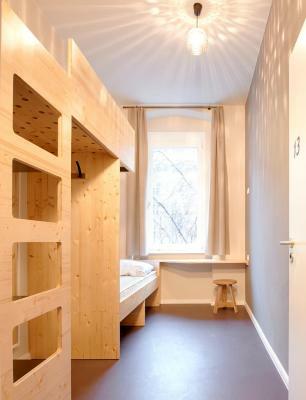 This modern-style dorm offers its own bathroom with toilet and shower. 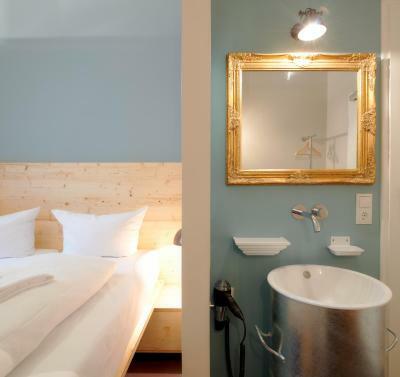 This cozy room offers its own bathroom with toilet and shower. 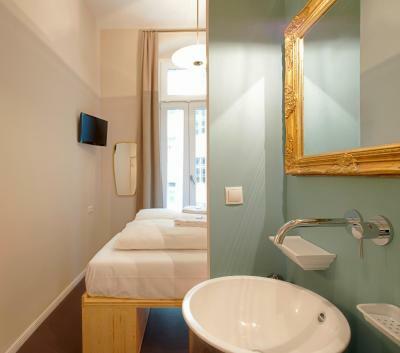 This room offers 2 separate single beds and a private bathroom with a shower. 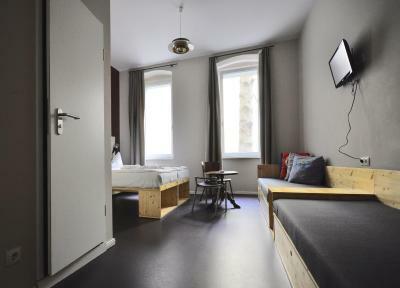 This modern-style dorm includes shared bathroom facilities in the hallway. 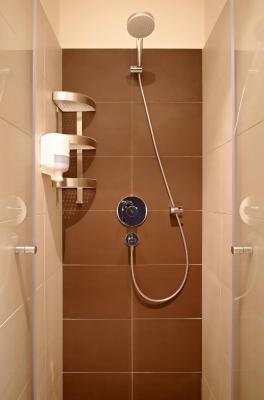 This modern-style room includes shared bathroom facilities in the hallway. This modern-style family room features a private bathroom with a toilet and a shower. 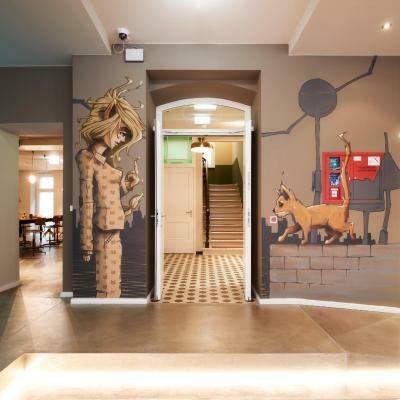 House Rules The Cat's Pajamas Hostel takes special requests – add in the next step! Cash The Cat&#39;s Pajamas Hostel accepts these cards and reserves the right to temporarily hold an amount prior to arrival. The Cat's Pajamas Hostel accepts these cards and reserves the right to temporarily hold an amount prior to arrival. 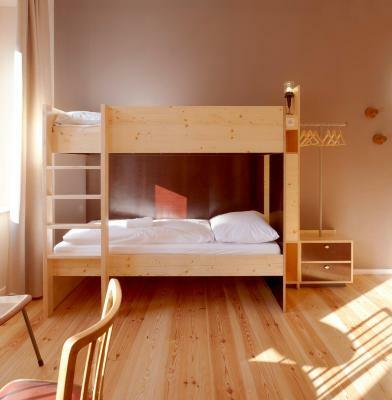 Anyone under the age of 18, not traveling with their parent/guardian, requires a written letter of consent, a copy of the Passport or ID card of their parent/guardian and accompaniment from a person aged 18 years or above in order to stay with the hostel. Please note that for bookings of 10 guests or more, special terms and additional supplements may apply. Please note that smoking is permitted in the front building and also in the rear courtyard. 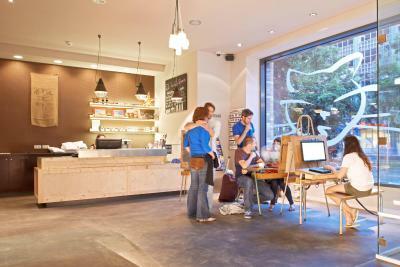 The common areas were pretty cold, but I find this common in all businesses in berlin during cold days. The bed and floor were dusty, like they hadn't been cleaned or vacuumed recently. I can't think of anything that is a negative, to be honest. I think the only thing I didn't like were the curtains in the room. I had a corner bunk and they never pulled shut the entire way without causing sunlight to shine on my face in the morning. 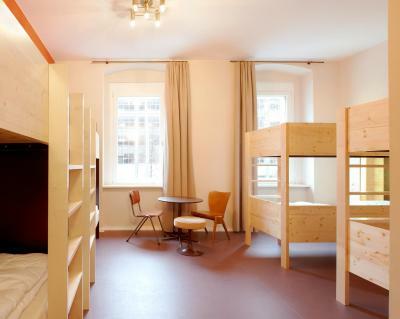 There was nothing we did not like about this hostel. The Cats Pyjamas is close to a underground station, so perfect for getting around, and there are several eating places close by. 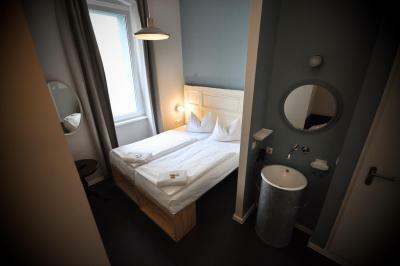 The hostel was clean and warm (it was 5 degrees outside when we were in Berlin), beds comfy, and the shower in our room was excellent, plenty of sockets for charging your gadgets. The breakfast offered had enough choice to get you going in the morning, cereal, fruit juice, cold meat, yogurts, fruit, bread rolls, tea and coffee. The communal kitchen was well equipped for you to cook a meal if you chose to. We were able to leave our bags in a locked room, so we're able to enjoy our last day, as we had a late flight home. 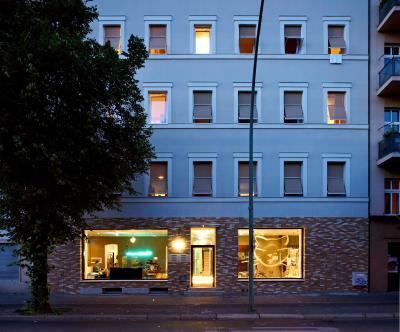 The staff at reception were friendly and helpful (Sami pointed us in the right direction for the sights and a place to eat, and was able to answer all our questions) We enjoyed our stay and would not hesitate to recommend it to anyone travelling to Berlin, would definitely stay here again. I did not like the cleaners walking in each morning without knocking and started to clean, totally ignoring the fact they just woke us up, while chatting with their mates at the same time. 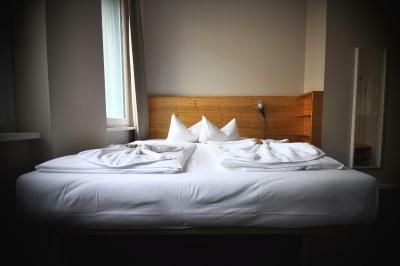 The staff at the desk were really nice and friendly, the bed was bigger and comfortable than i thought it would be. The games room was a nice touch as we used it multiple times, and the art work on the walls were really cool. 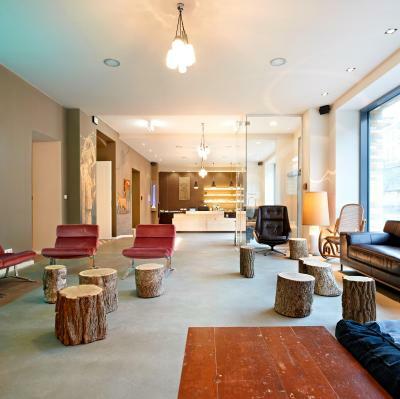 Location is very good and the border of Kreuzberg. Friendly stuff. Big bathroom. Nice kitchen. Cleaning service must be better... There was some dust underneath the beds. Great hospitality! 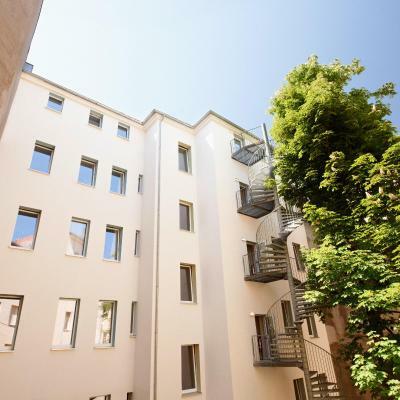 Good location, metro station is just on a minute from the hostel. Bus stops in front of the hostel. Great value for the money, I recommend the place. Location, design and price. Cheap beers in the lobby. 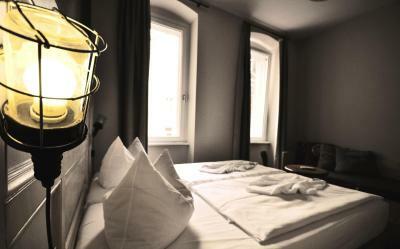 Room was adequate for a short trip - would recommend a real hotel for longer stays. I stayed in a 6 person room with one shower and toilet which my fellow occupants used as a prayer room first thing in the morning which lead to lengthy delays to use the toilet first thing. A prayer room would be good somewhere in the hostel. The bathrooms were too small and not cleaned too well. Room too warm.